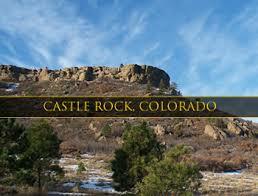 The region in and around Castle Rock was originally home to Native Americans of the Arapahoe and Cheyenne tribes. They occupied the land between the Arkansas and South Platte Rivers. 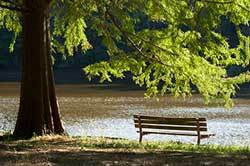 White settlers were drawn to the area by rumors of gold and by land opened through the Homestead Act of 1862. However, it was the discovery of rhyolite stone not gold that ultimately led to the settlement of Castle Rock. One of the first homesteaders in the area near today's Castle Rock was Jeremiah Gould. He owned about 160 acres (0.65 km2) to the south of "The (Castle) Rock." At that time, the settlement consisted of just a few buildings for prospectors, workers, and cowboys. In 1874 Jeremiah Gould donated 120 acres (0.49 km2) to the new town that was also now home to the Douglas County government. For the beginning the six streets named Elbert, Jerry, Wilcox, Perry, Castle and Front were laid out to build the actual town of Castle Rock. The Courthouse Square was defined and about 77 lots, each 50 by 112 feet (34 m), were auctioned off for a total profit of US$3,400.